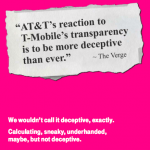 T-Mobile’s Un-carrier approach has clearly resonated with consumers. 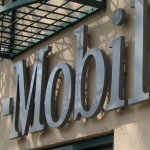 By fixing the things that drive them mad, like contracts and upgrades, and freeing them from the two-year sentences imposed on them by our competitors, they are choosing the new T-Mobile in unprecedented numbers. We are just beginning and we will continue to apply this innovative thinking to the Un-carrier offers we create and to the internal operations of our company, which taken together are driving significant shareholder value creation. It's clear that T-Mobile's attitude towards offering the iPhone works - this much is evidenced by the carrier's impressive financial results. It'll be interesting, however, to see how T-Mobile continues to grow throughout the course of the next financial year, and particularly once Apple's anticipated iPhone 5S - and iPhone 5C - reach customers in the United States. We'll keep you updated with further information as we receive it. In the meantime, see: Enter A New World Of Platforming In The Futuristic Gleamer, MessageMe Update Introduces Stickers, Photo Broadcast And New Sign-Up Process, and Can You Save Sugarloaf Kingdom In Every Hero For iOS?.